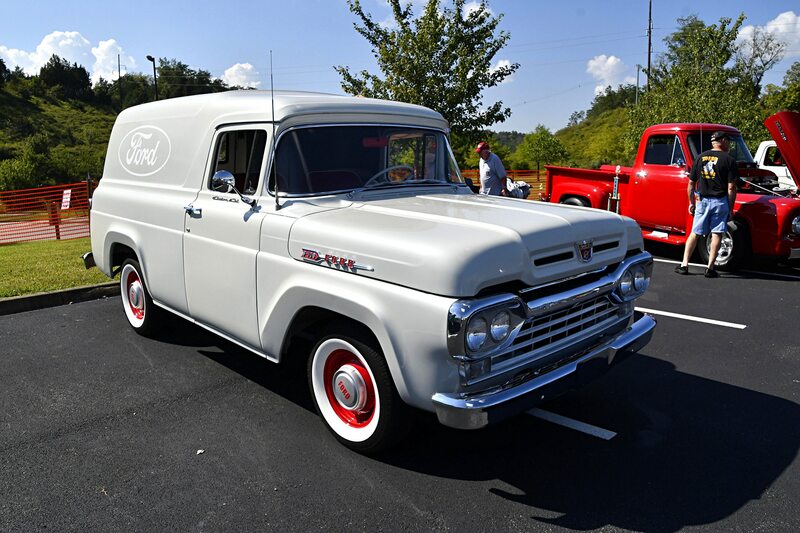 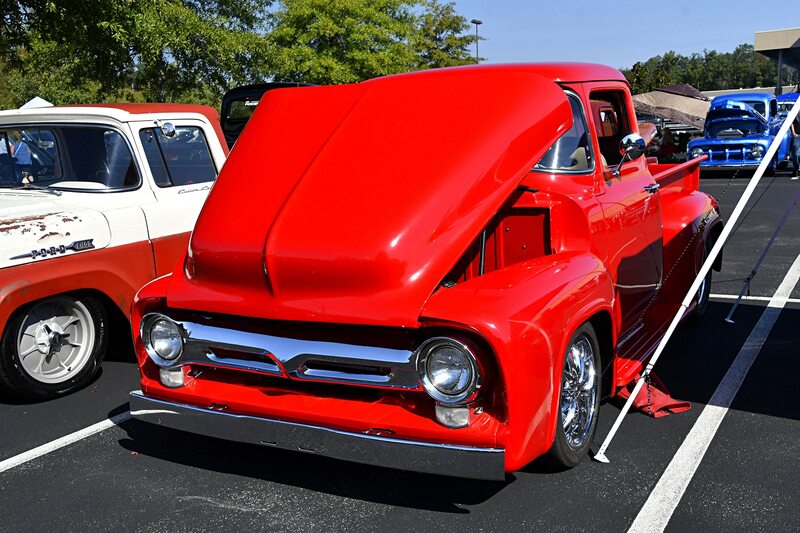 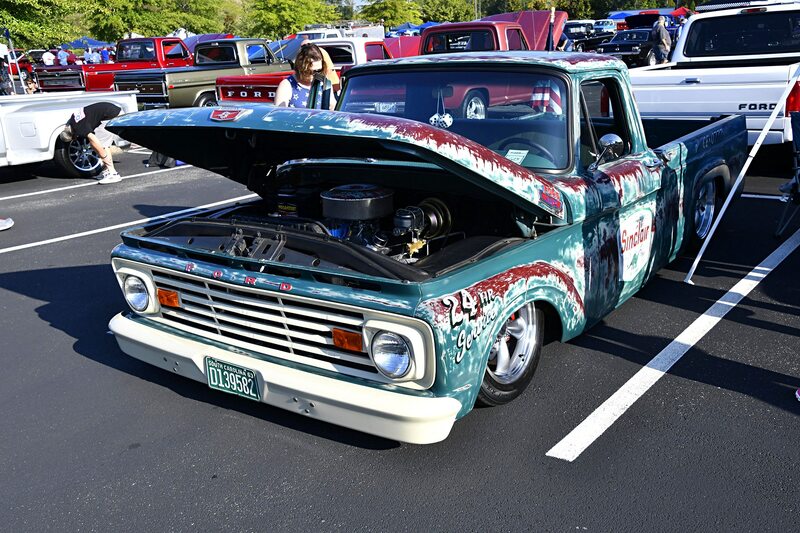 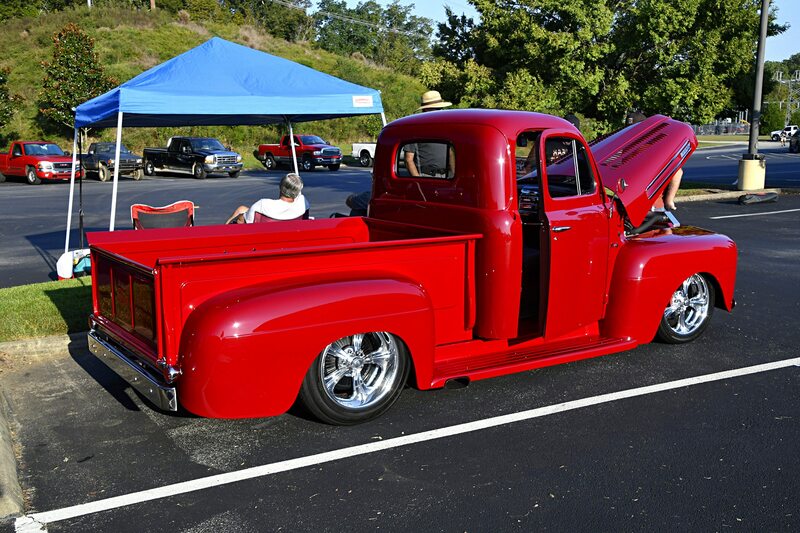 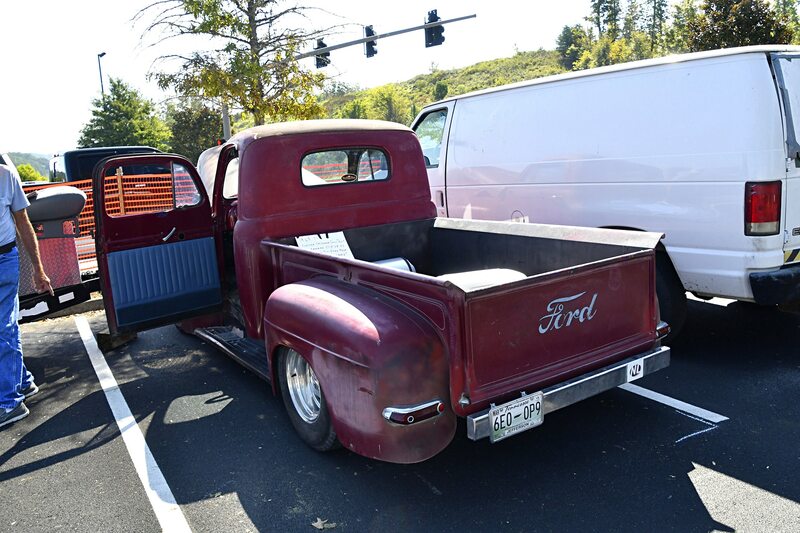 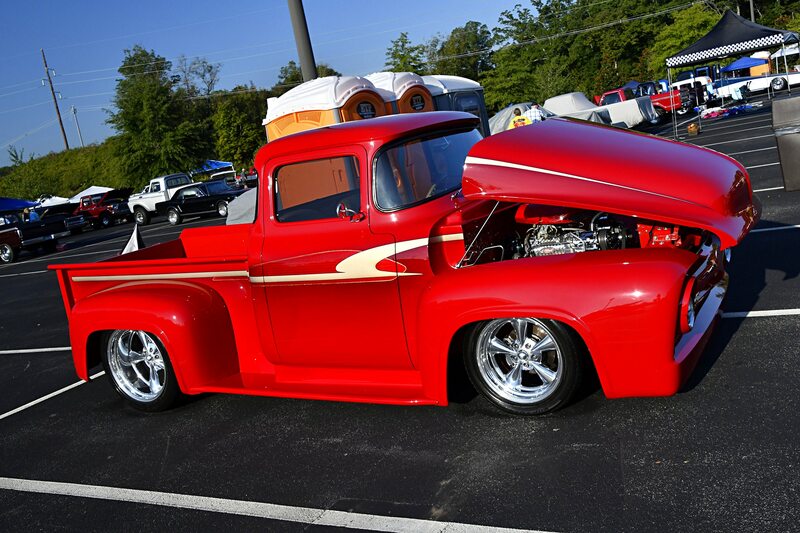 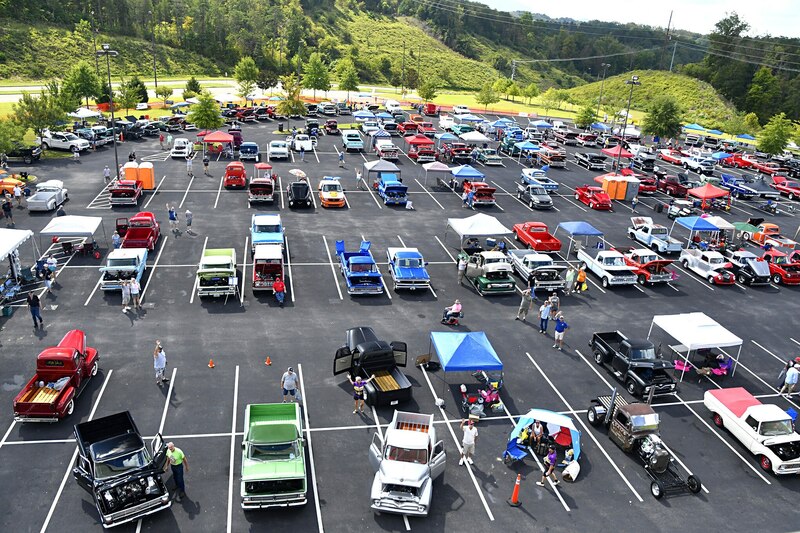 Blue Oval F-100 drivers never miss the classic October show devoted to their trucks, with drivers from more than 23 states making the trip to Tennessee’s favorite mountain town, Pigeon Forge. 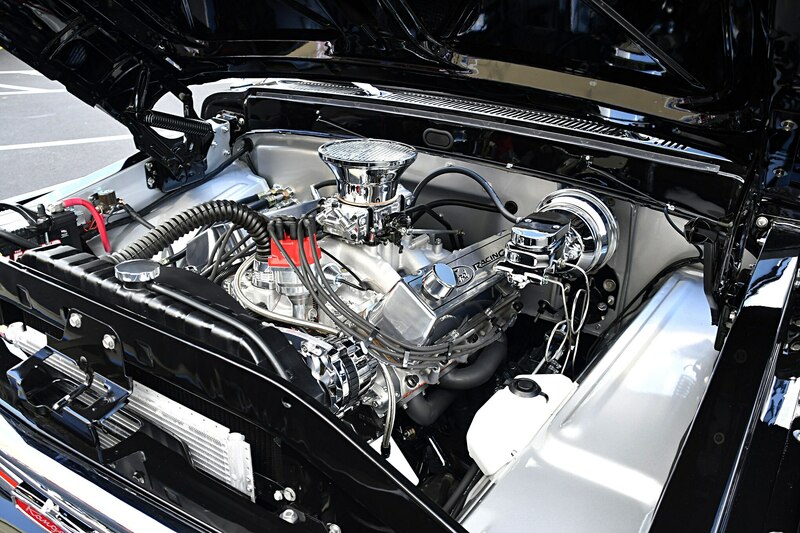 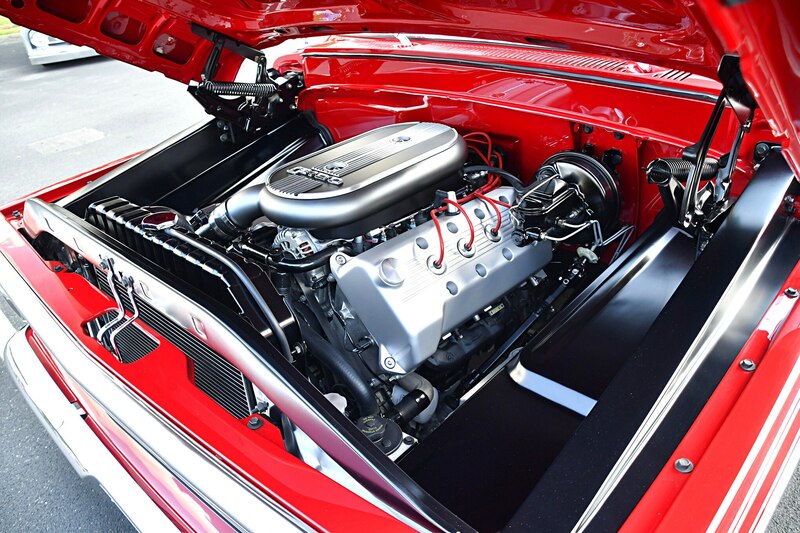 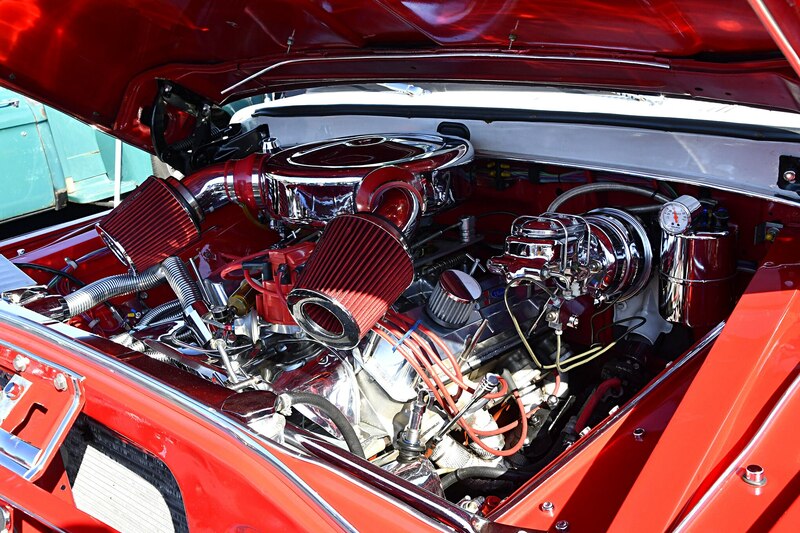 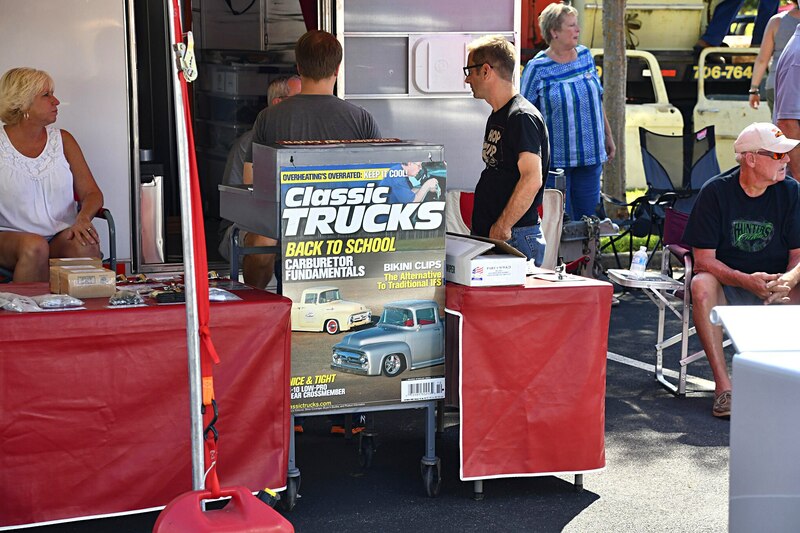 With car talk for the guys at the show, as well as shopping and attractions for the wives and kids in town, the event always has something for everyone. 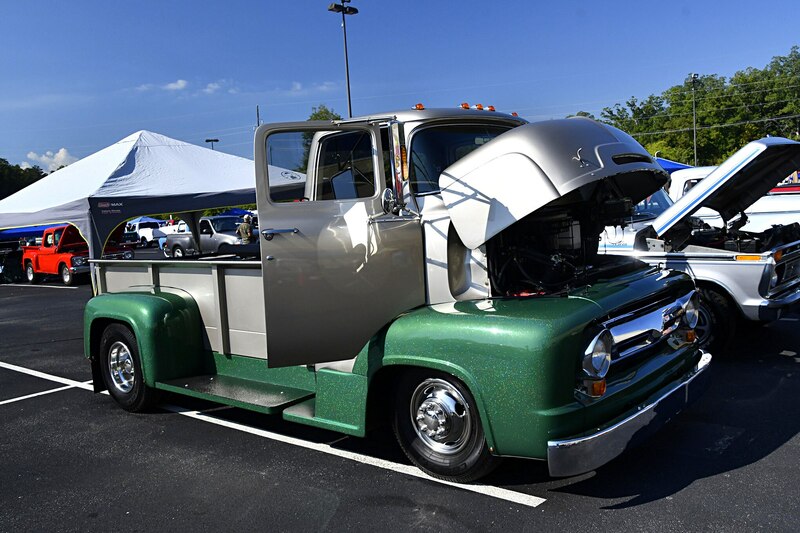 Show promoter Charlie Cobble brings his years of experience and automotive connections to attract an amazing gathering of cool, classic trucks. 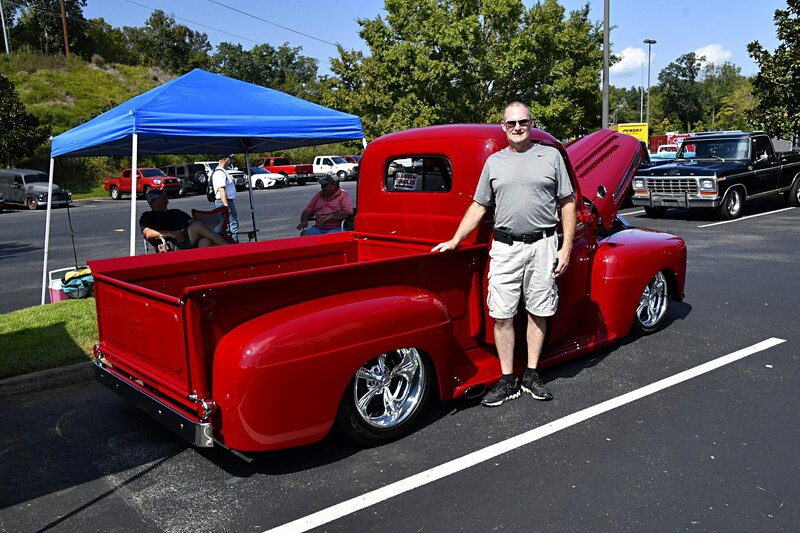 Bobby Jenkins has owned his 1950 F-1 for the last 42 years. 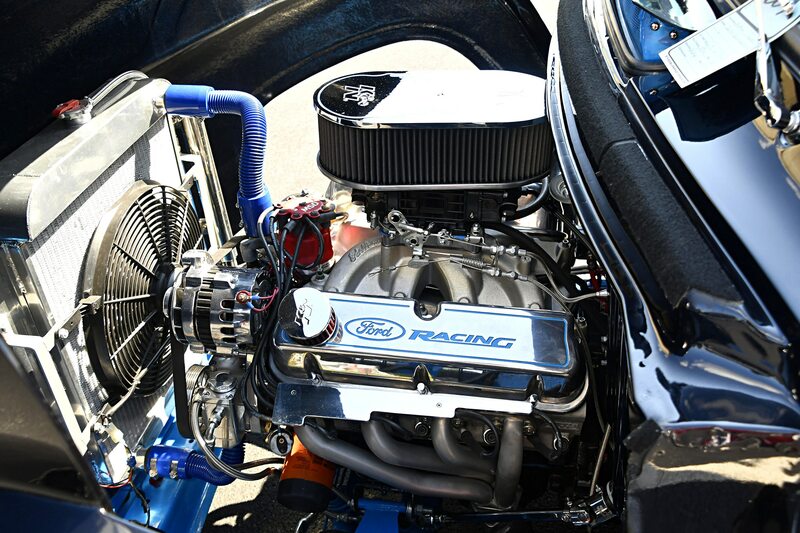 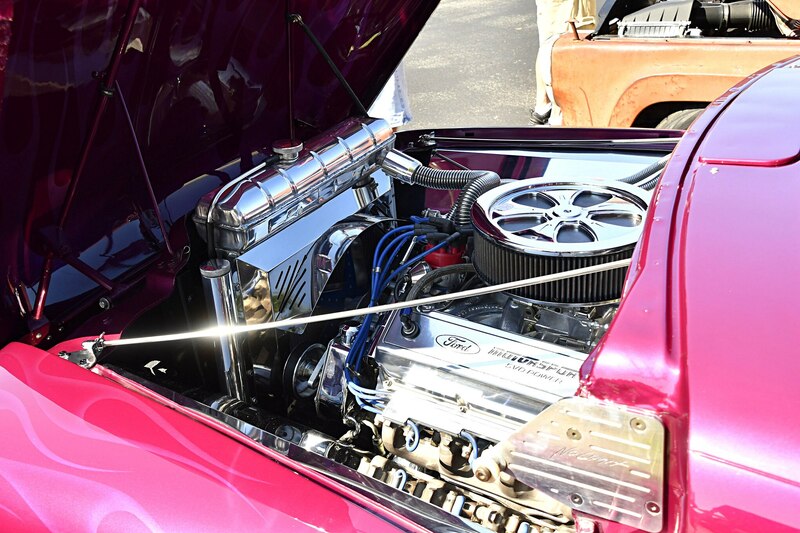 The vintage ride has a snarling 460 under hood. 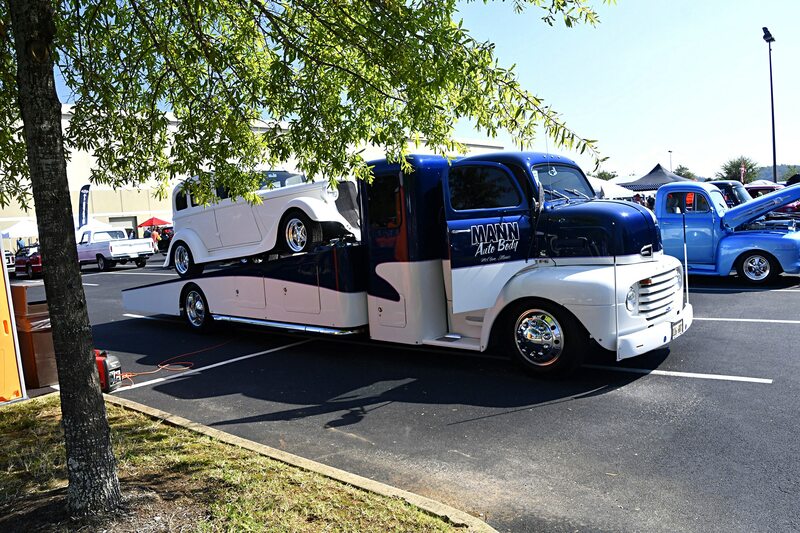 The Thursday through Saturday event officially begins with opening ceremonies on Friday morning that showcase never-before-seen vehicles with Cobble explaining details to the crowd. 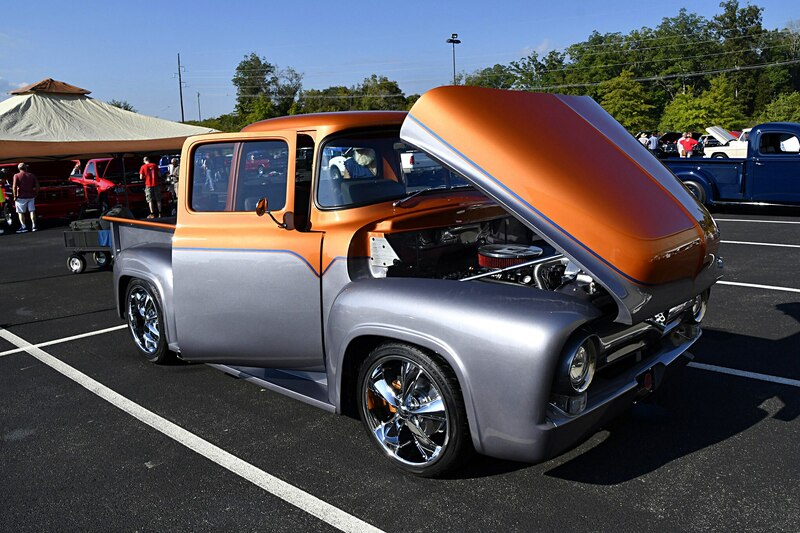 All the midnight oil, frustration, and barked knuckles were forgotten when the smiling builders heard the applause from the enthusiastic crowd. 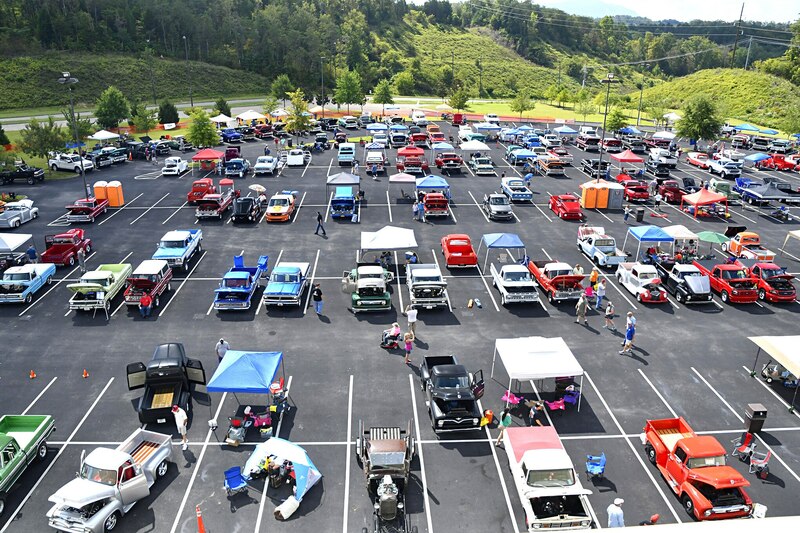 Addressing the unseasonably warm weather for the mountains of Tennessee, Cobble expanded on the plans for 2019 where the event will use both the parking lot outside and the air-conditioned Sevierville Convention Center inside. 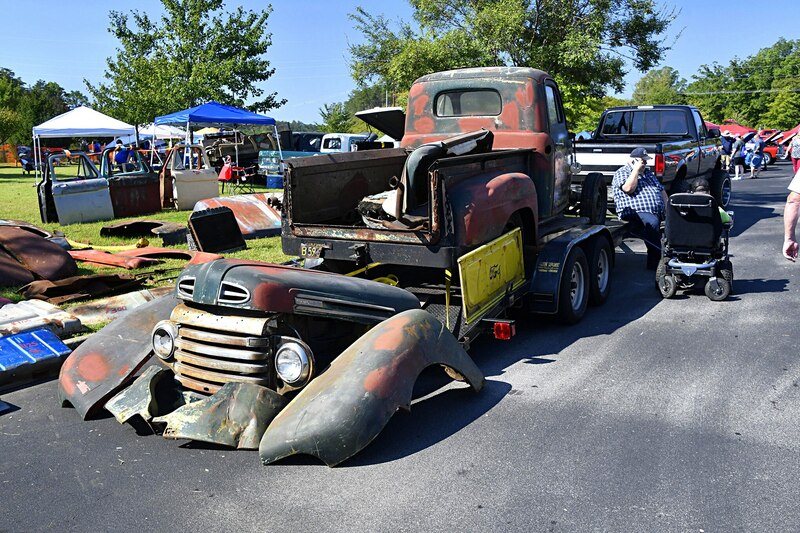 While the debuting vehicles were exciting, it was the rest of the huge collection of trucks on display that soon became the center of the weekend’s interest. 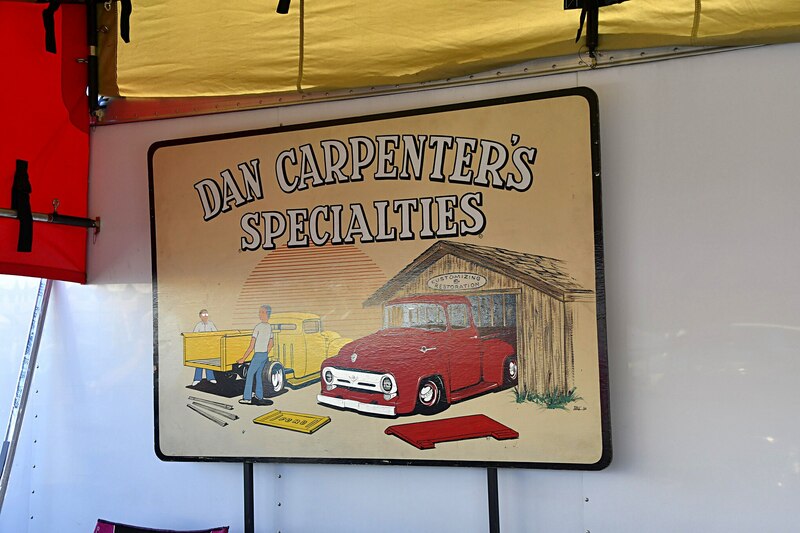 Enjoying everything from meticulously restored originals to radical customs and almost everything in between, spectators wandered the rows finding something new at every turn. 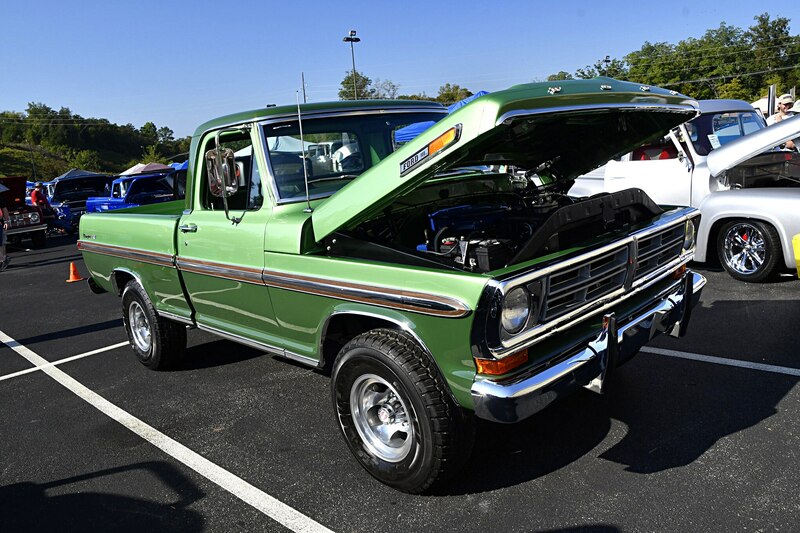 Magazine-quality rides were everywhere. 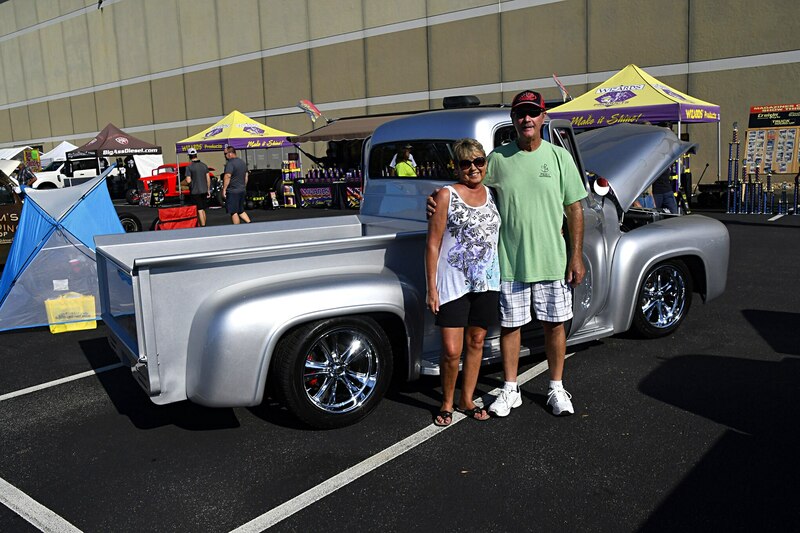 Completed with just 8 miles on the odometer, Rose and Gary Fuller are justifiably proud of their latest ride. 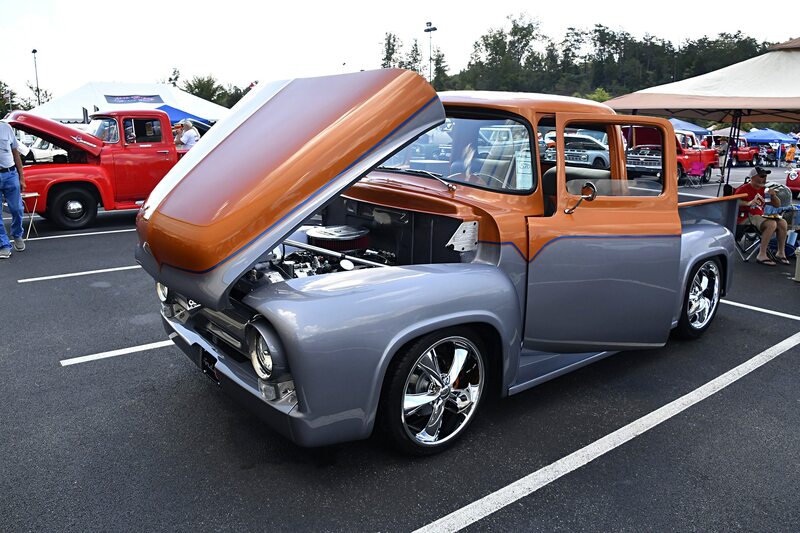 This is Gary’s fourth magazine-quality ride in recent years and he feels it’s his best. 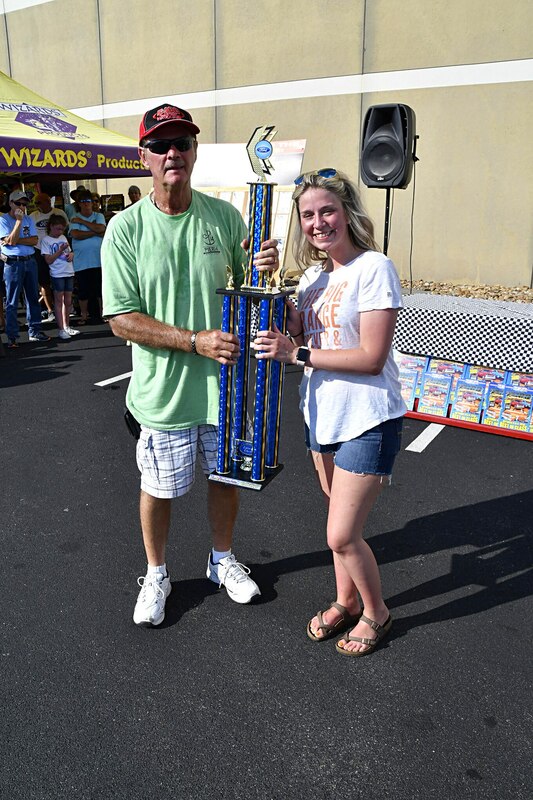 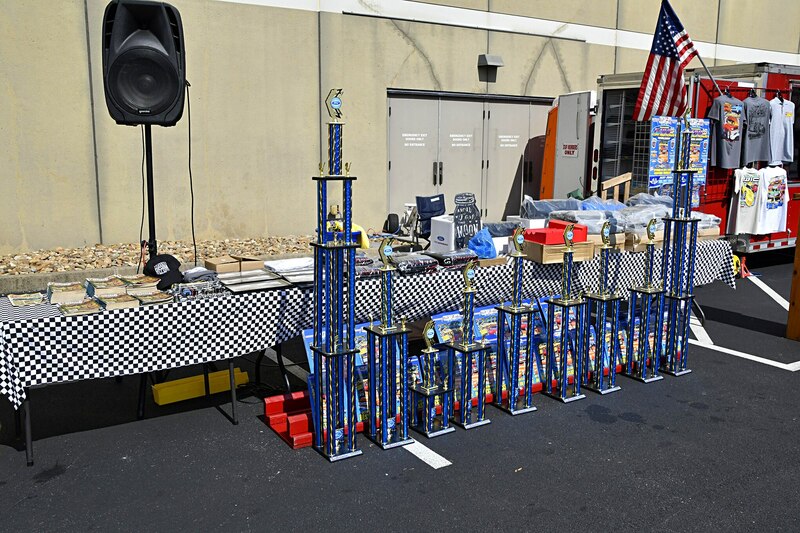 The F-100 event is known for its huge selection of significant doorprizes and almost $5,000 worth was given away at a rapid fire pace prior to the awards ceremony. 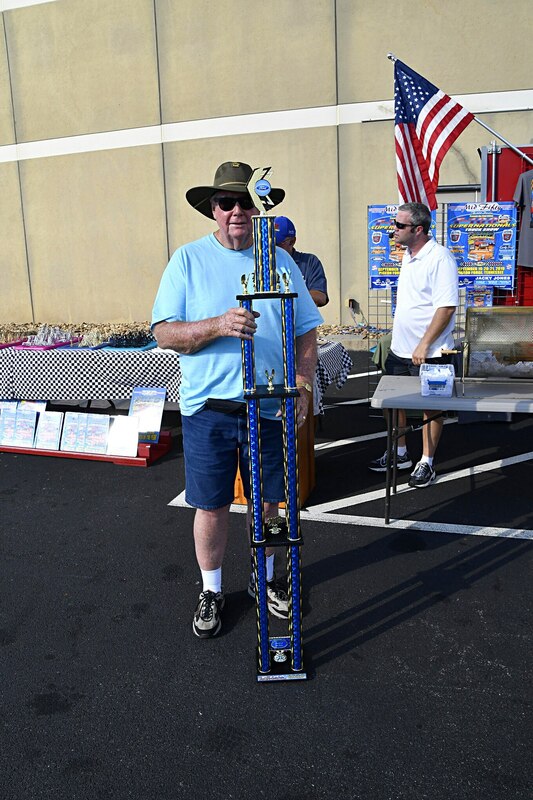 In addition to the more than 100 class win trophies, the judging team selected a pair of winners for the top awards. 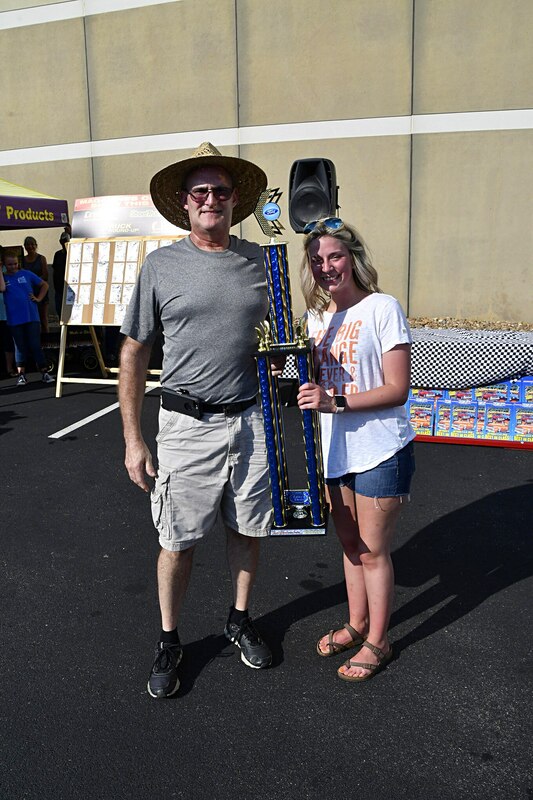 Receiving his tall trophy for acquiring the most points was Ron Bibey and his lifted 1977 F-250. 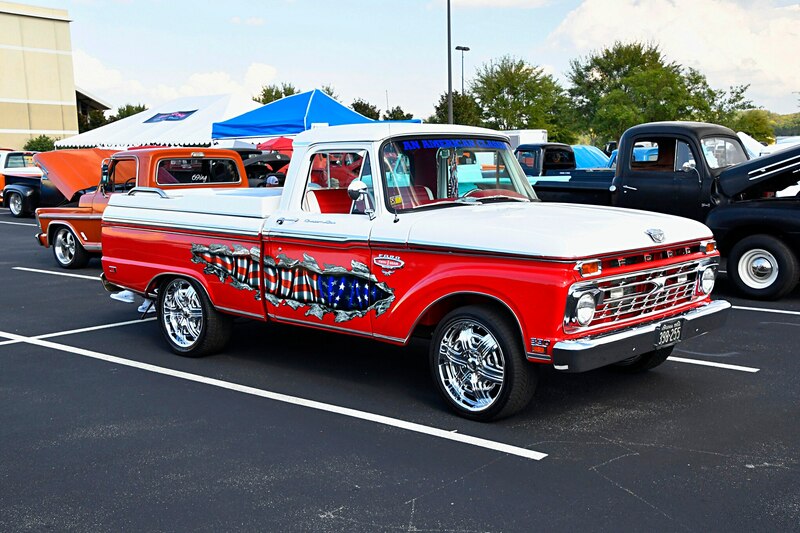 The F-100 Truck of the Year went to Jim and Sandy Boruff from Maryville, Tennessee, for their meticulous bright red 1968 F-100. 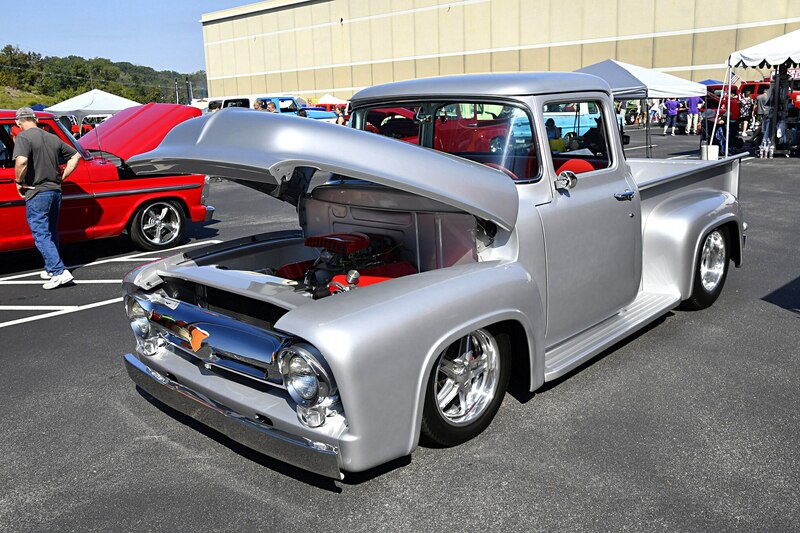 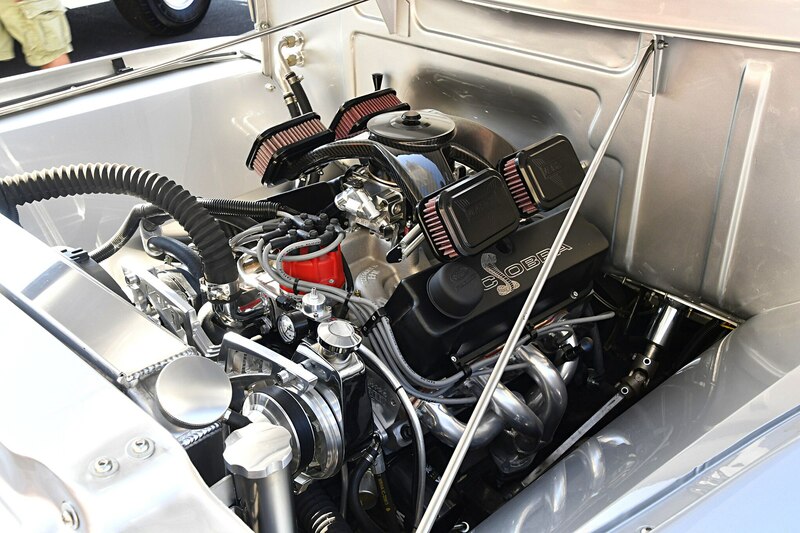 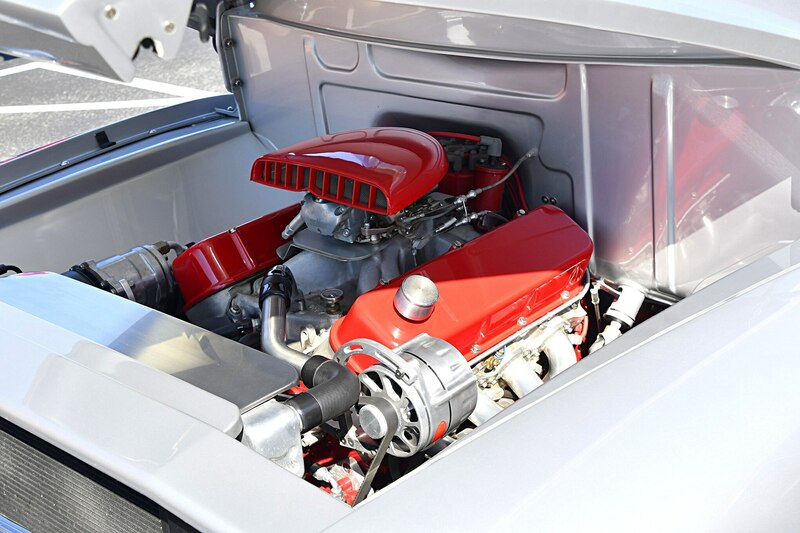 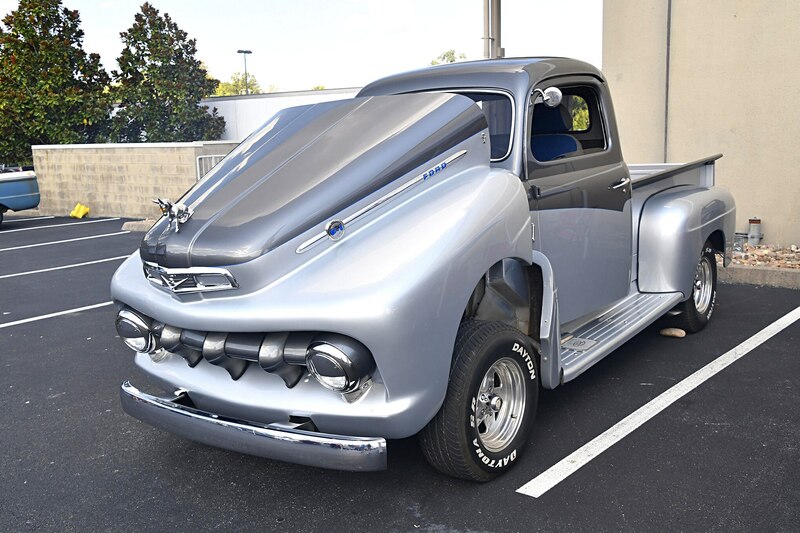 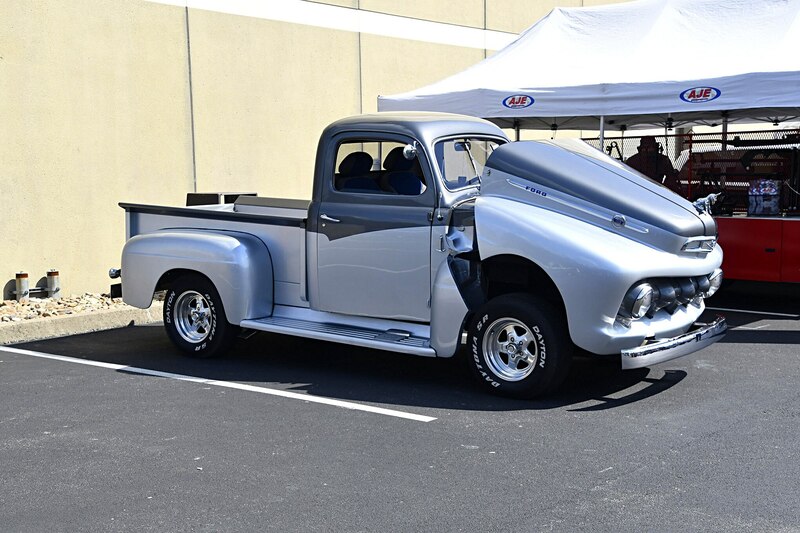 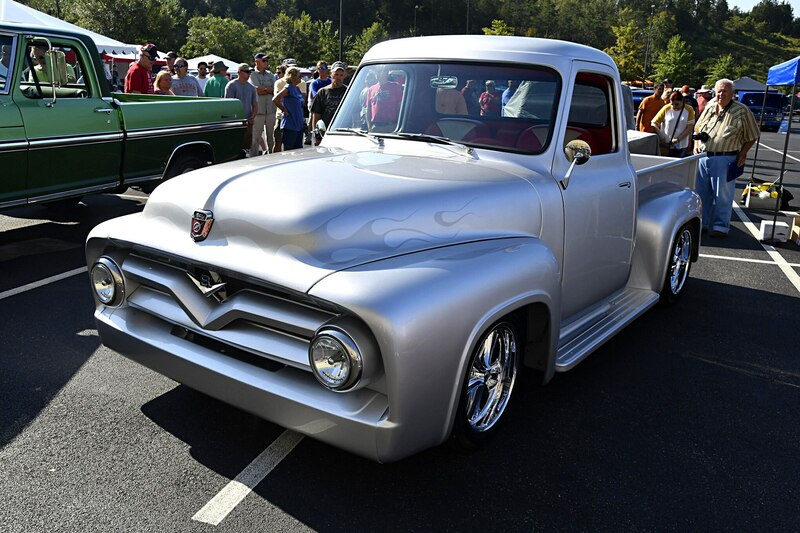 Capturing the Classic Trucks Editor’s Choice trophy with only 8 miles on the odometer was the silver 1953 F-100, recently completed by Rose and Gary Fuller. 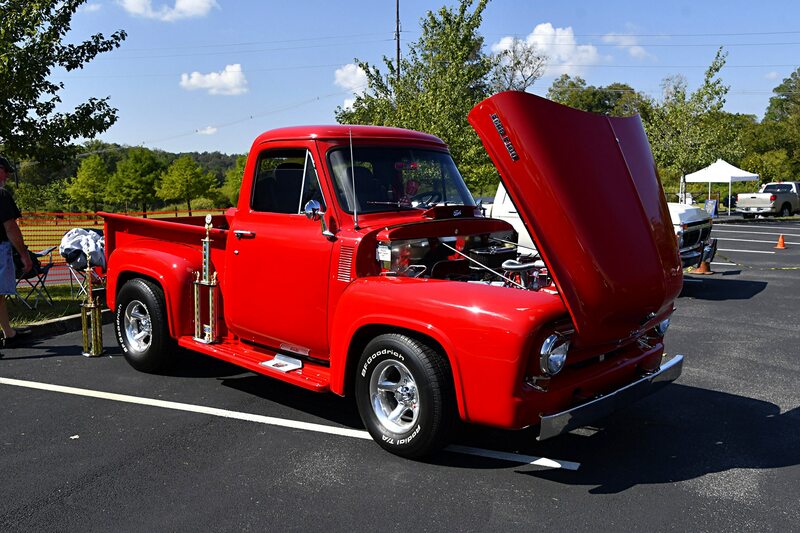 The F-100 Truck of the Year honors went to Jim and Sandy Boruff from Maryville, TN, for their beautifully crafted, bright red 1968 F-100. 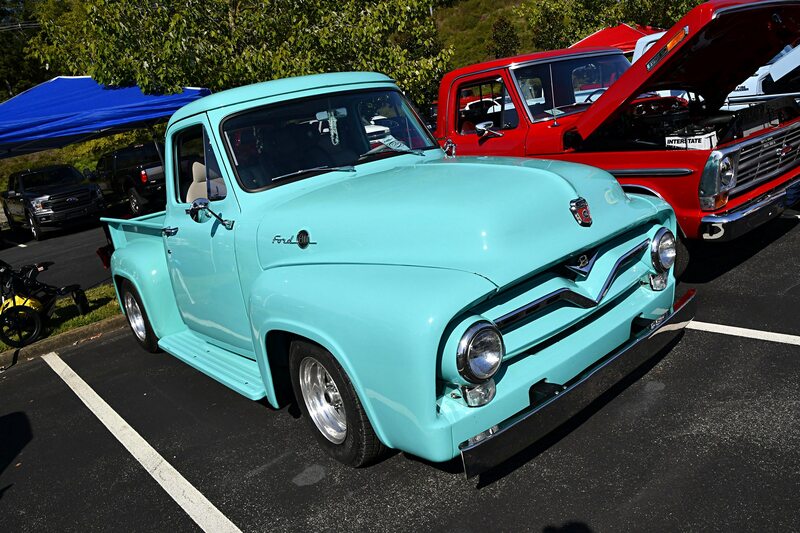 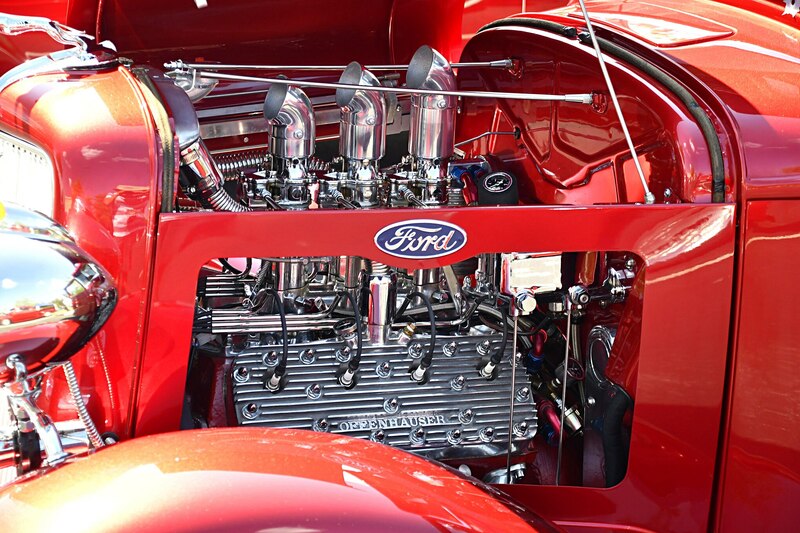 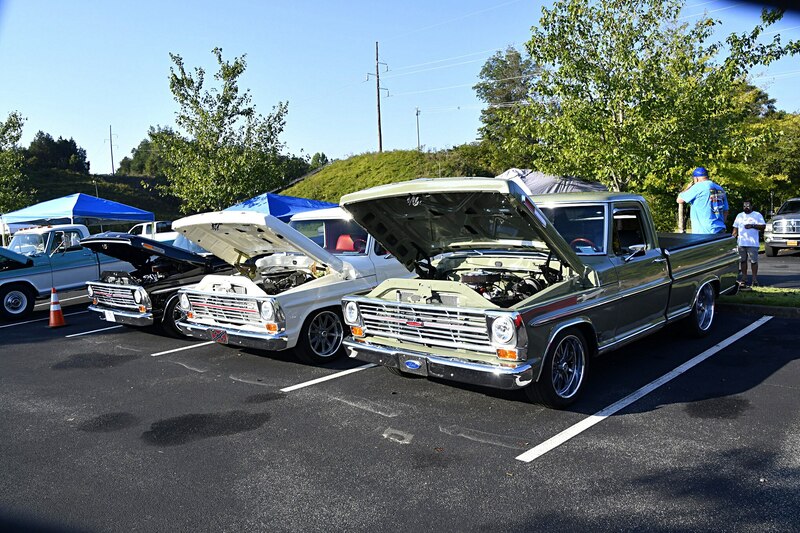 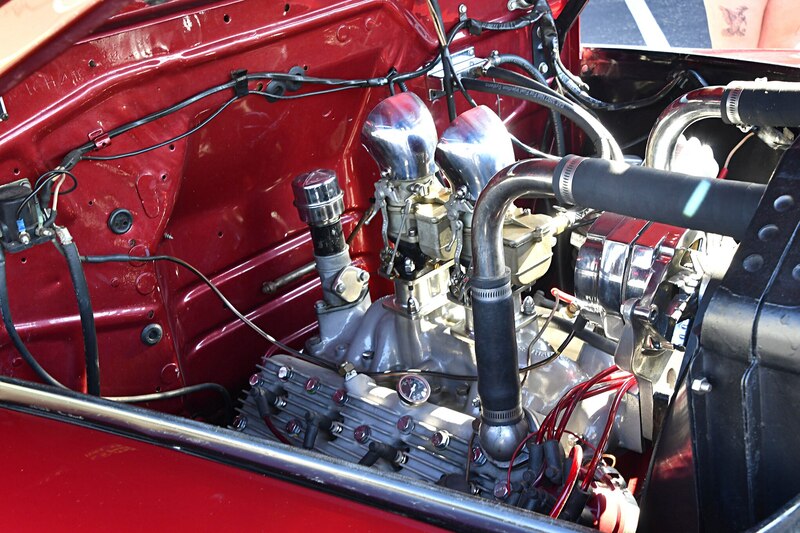 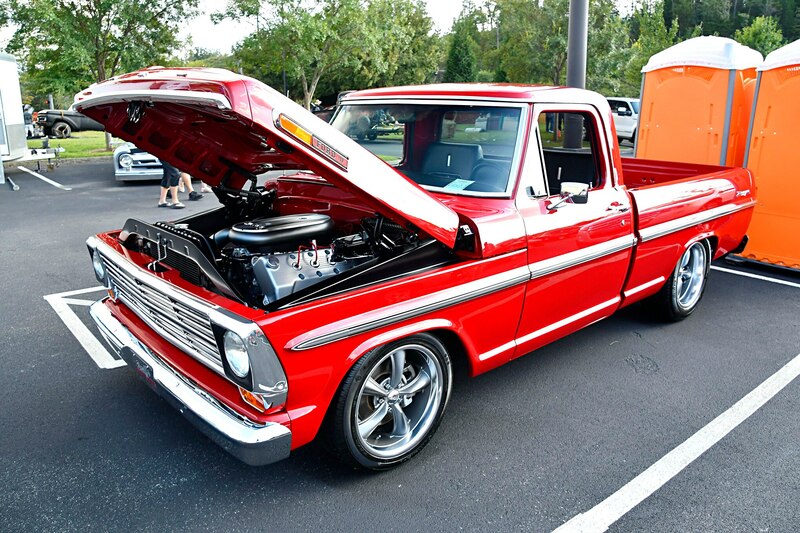 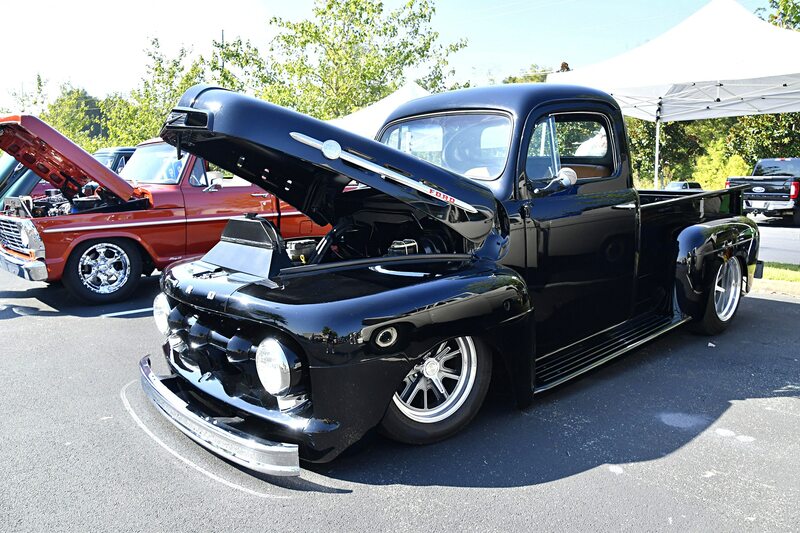 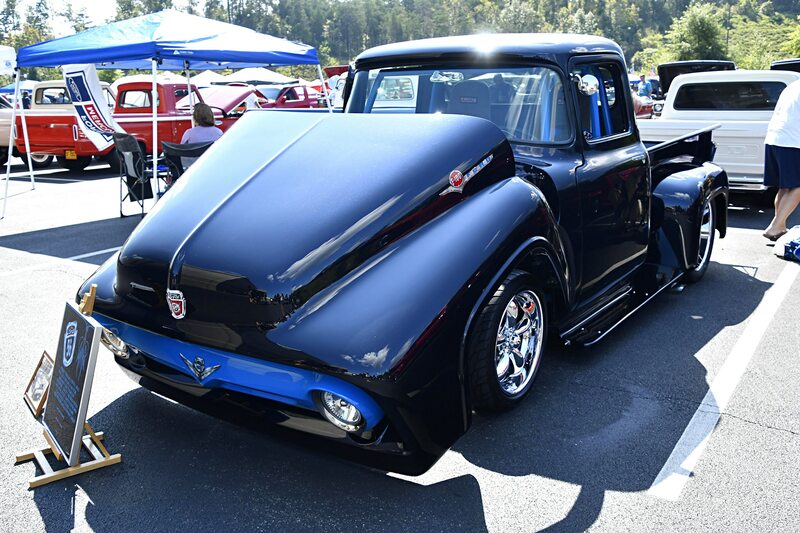 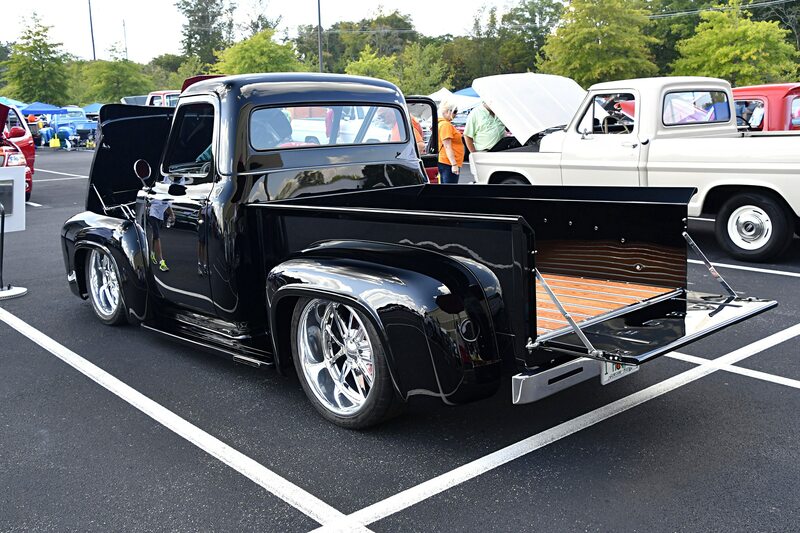 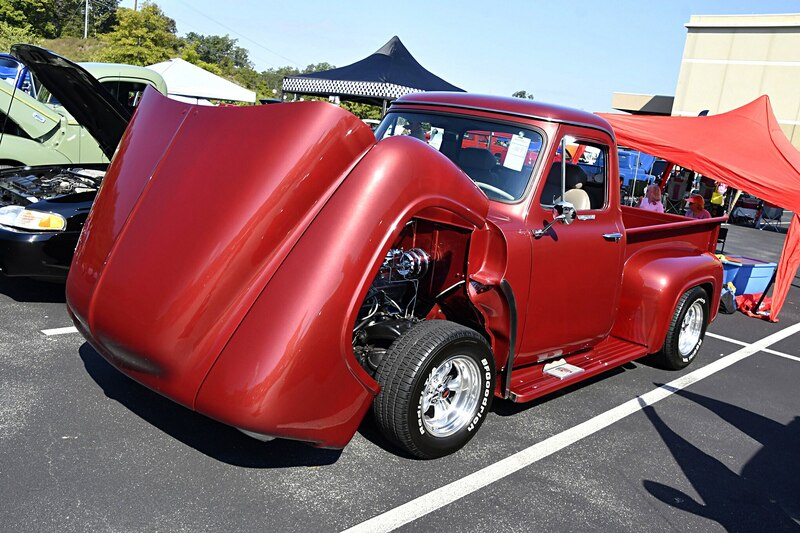 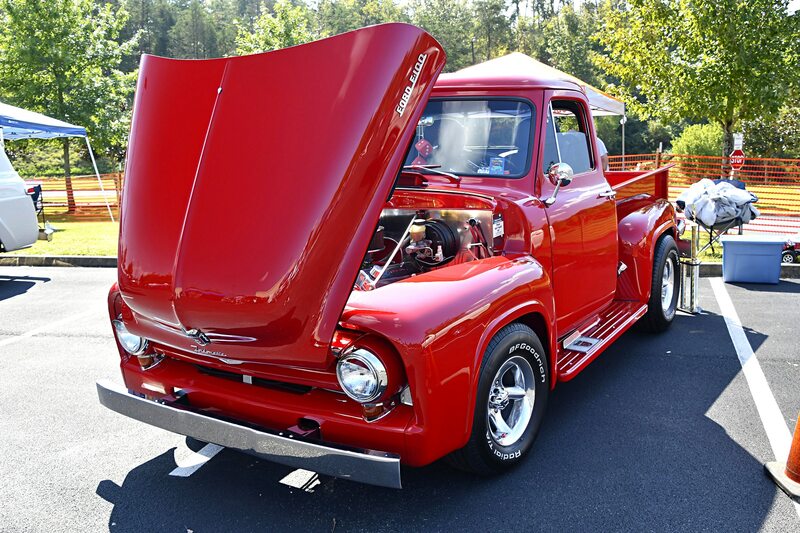 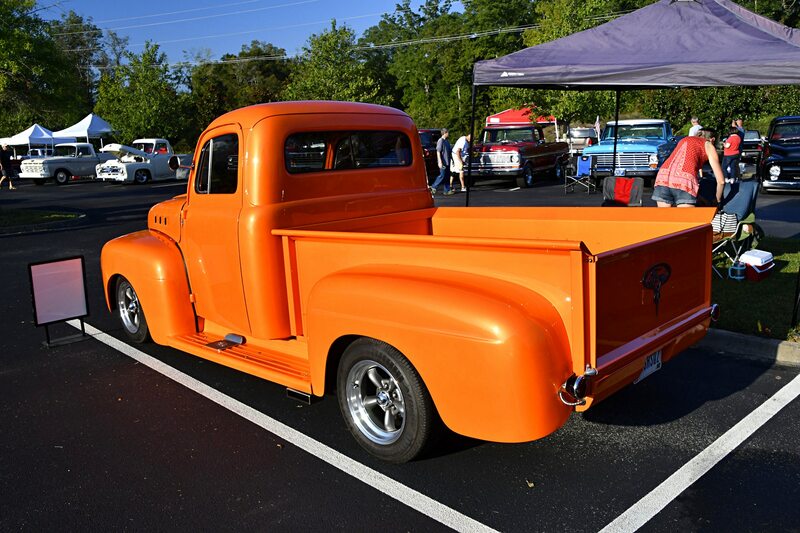 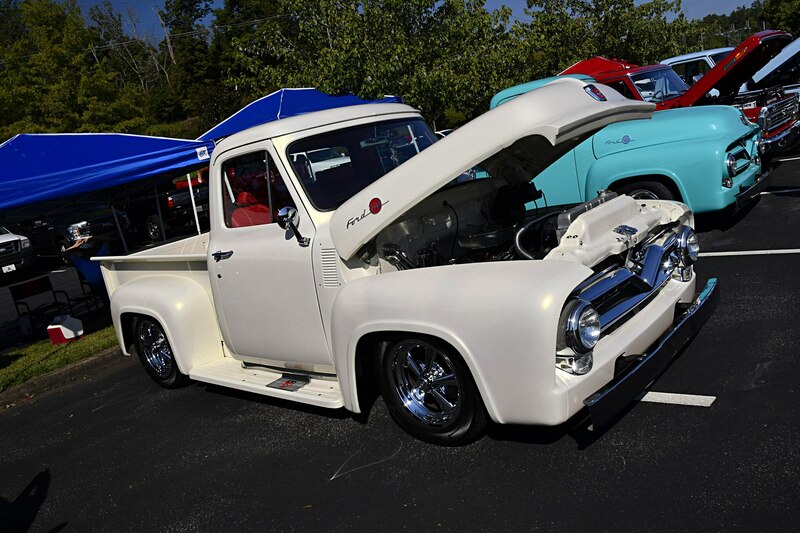 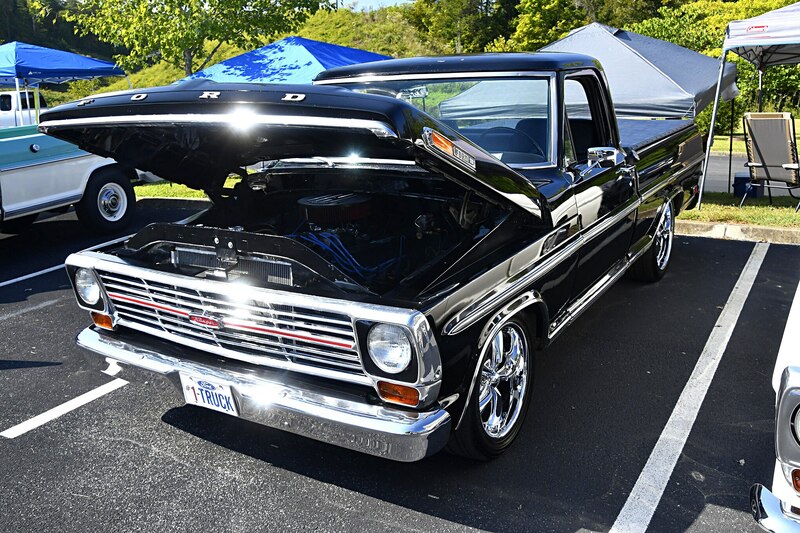 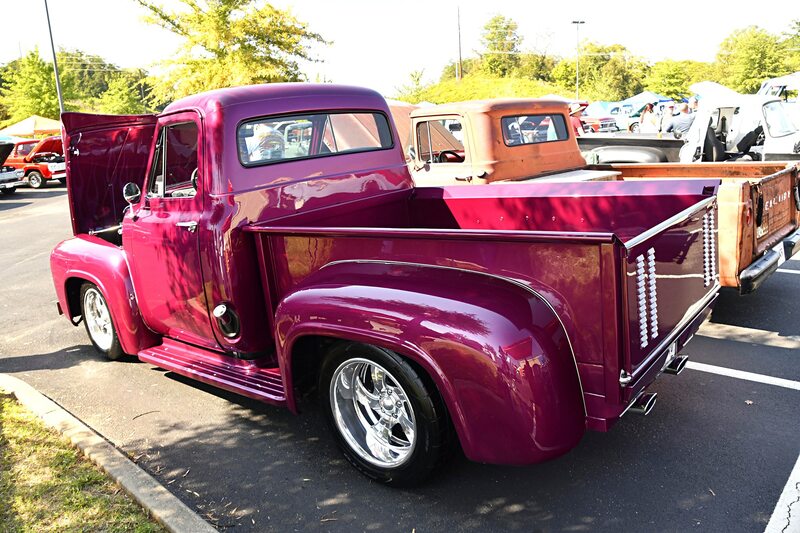 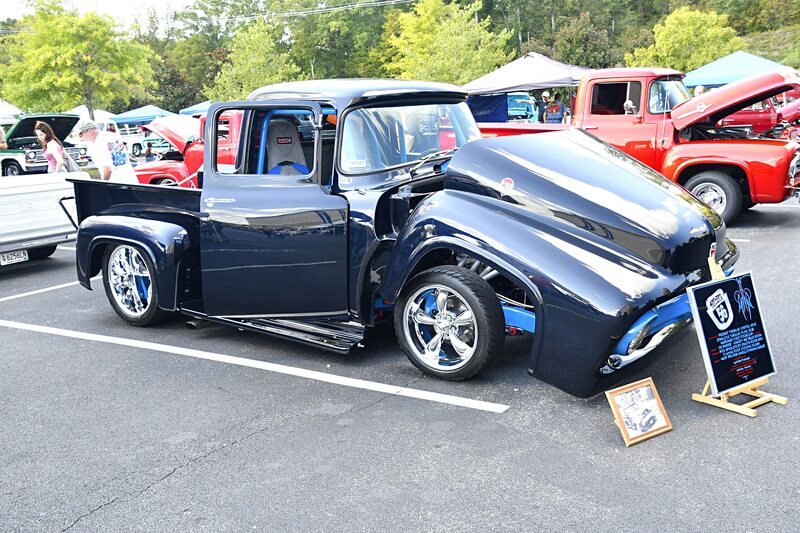 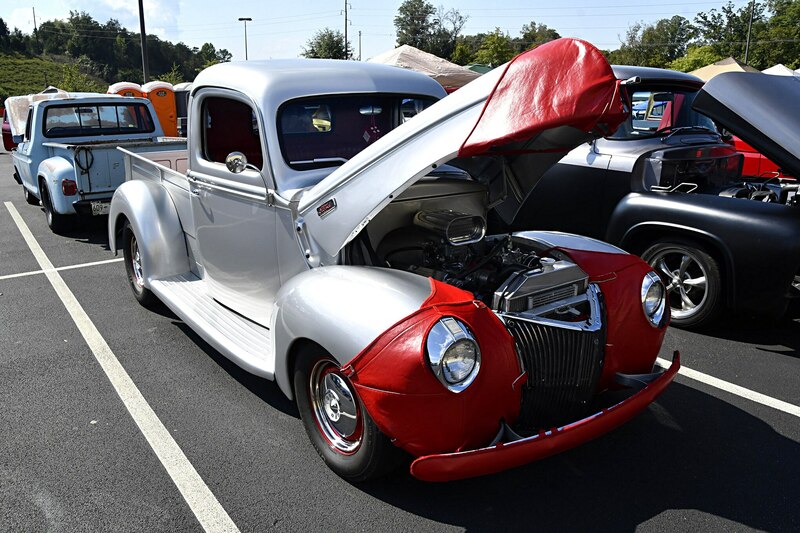 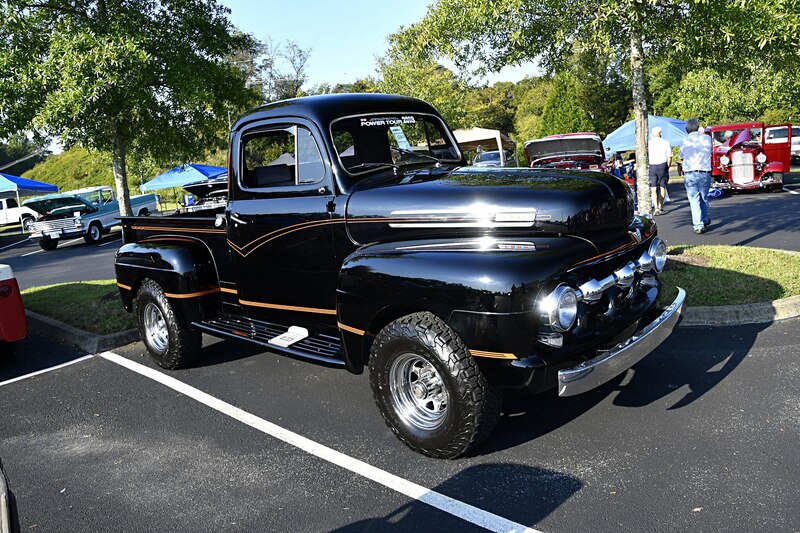 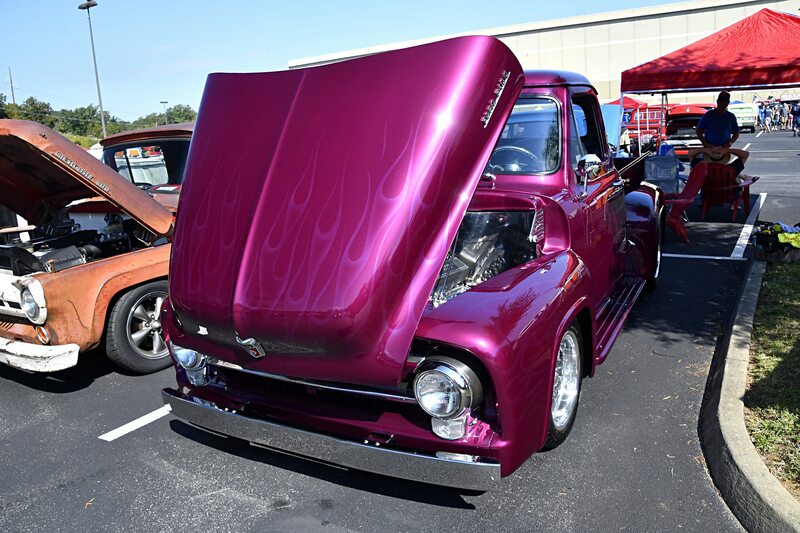 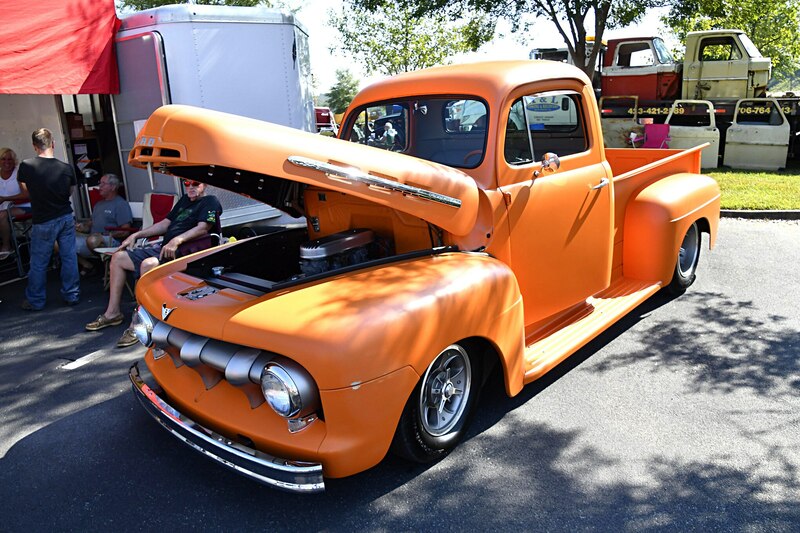 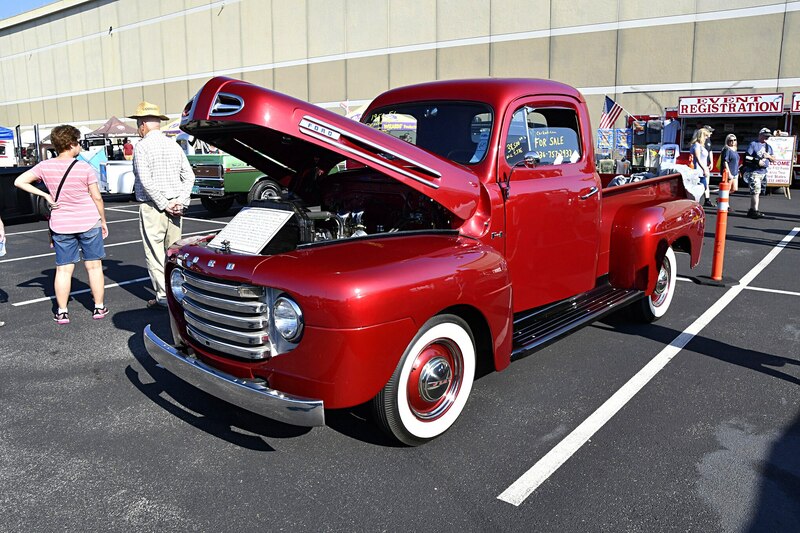 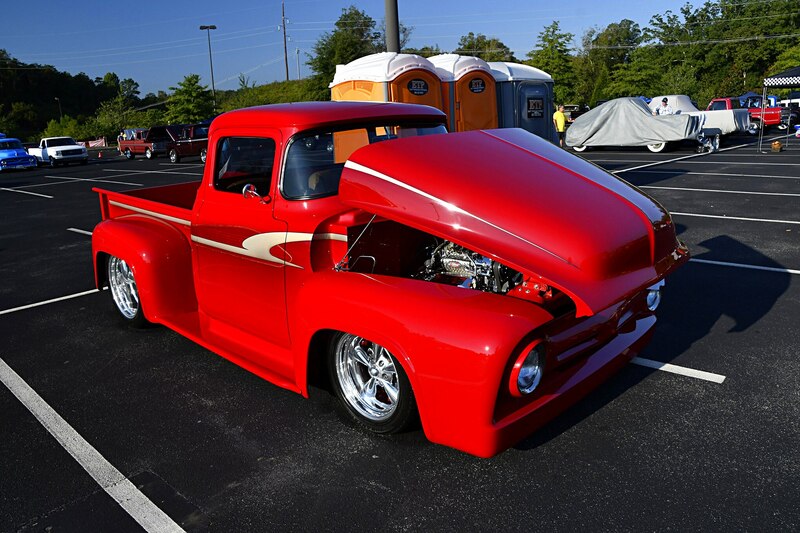 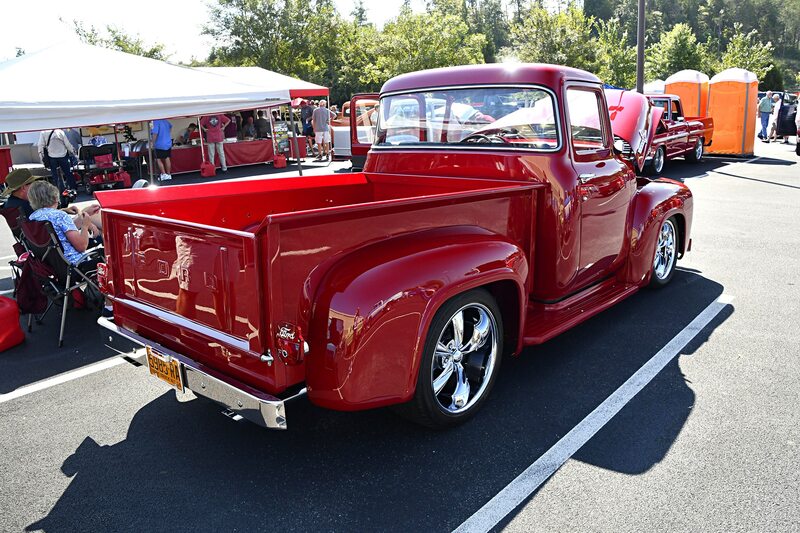 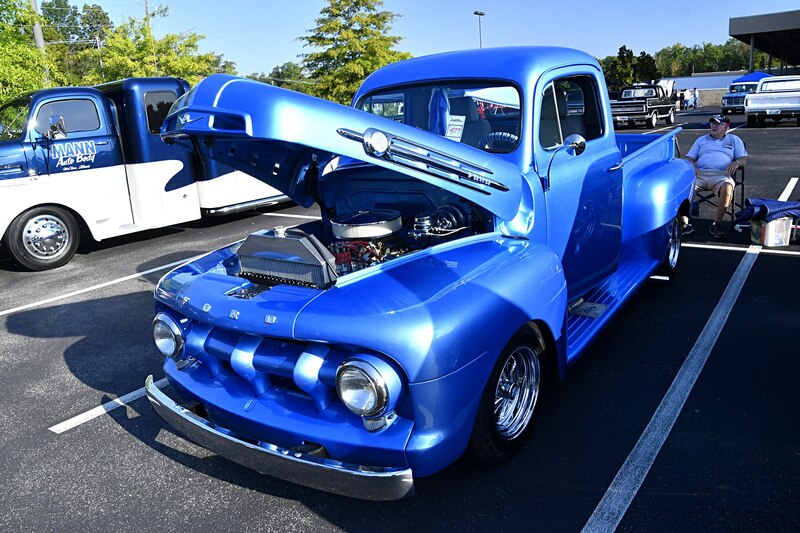 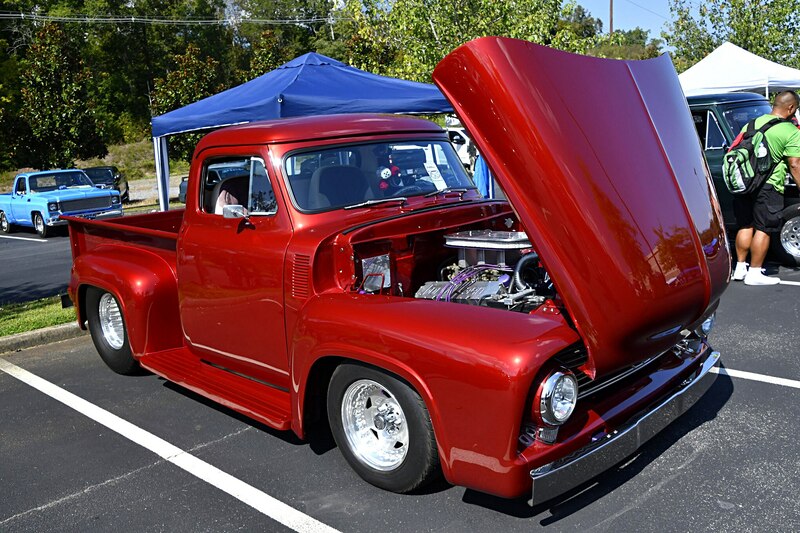 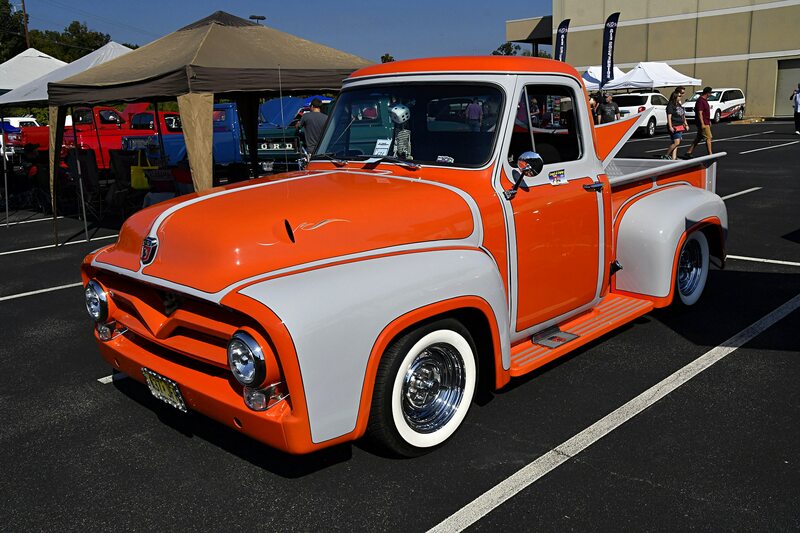 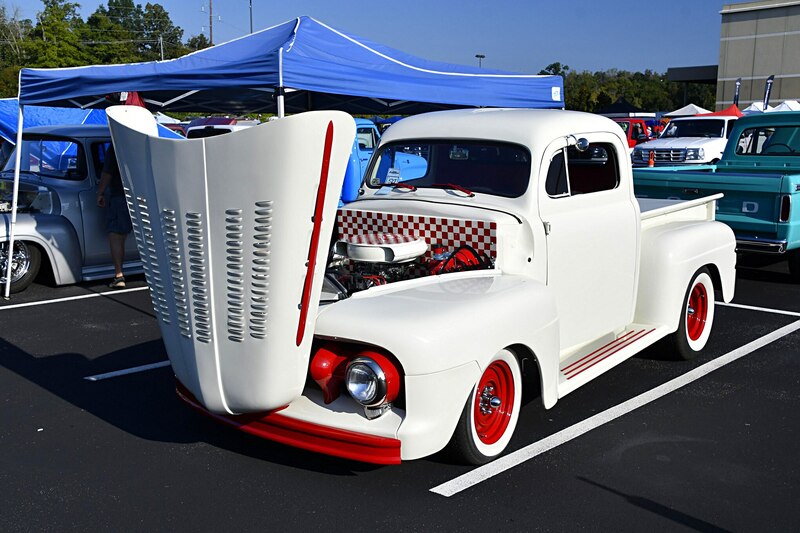 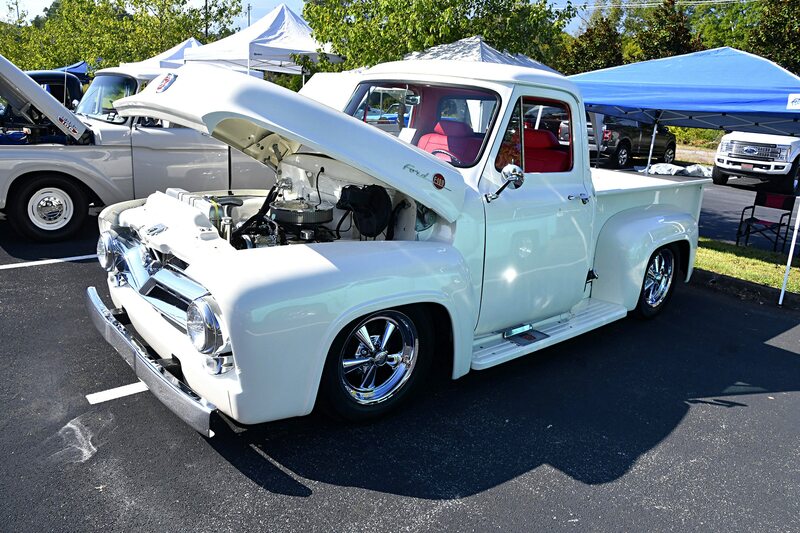 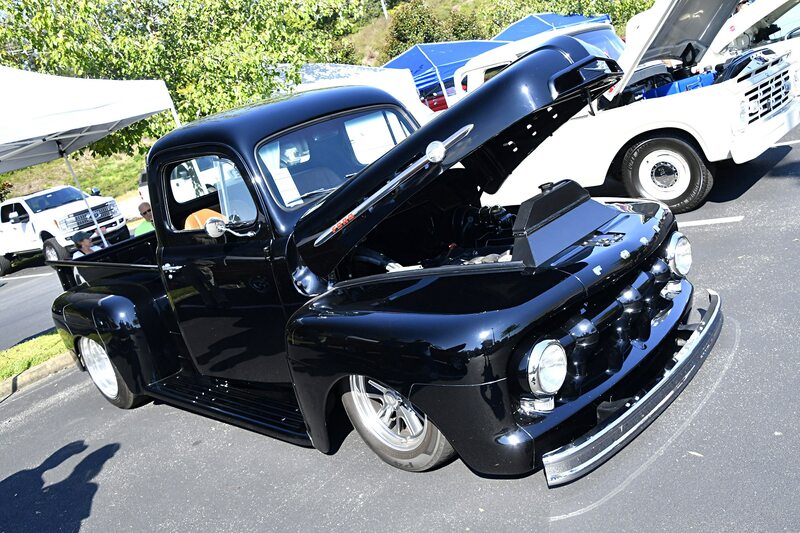 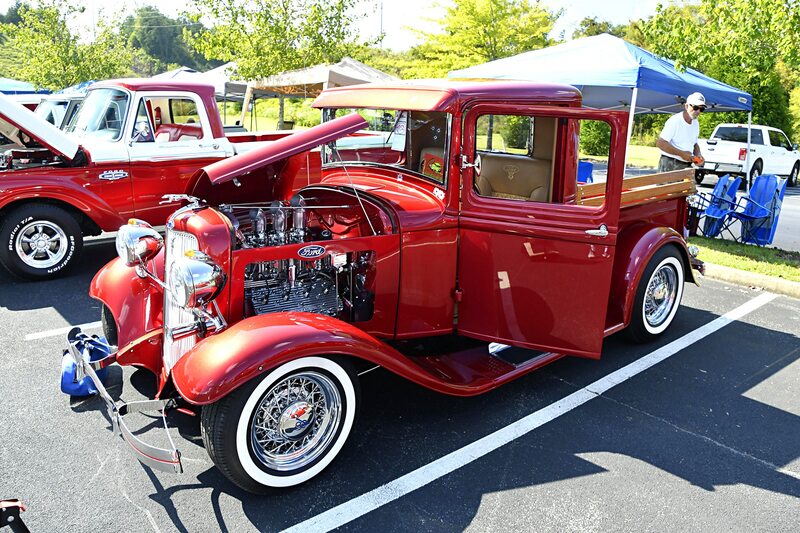 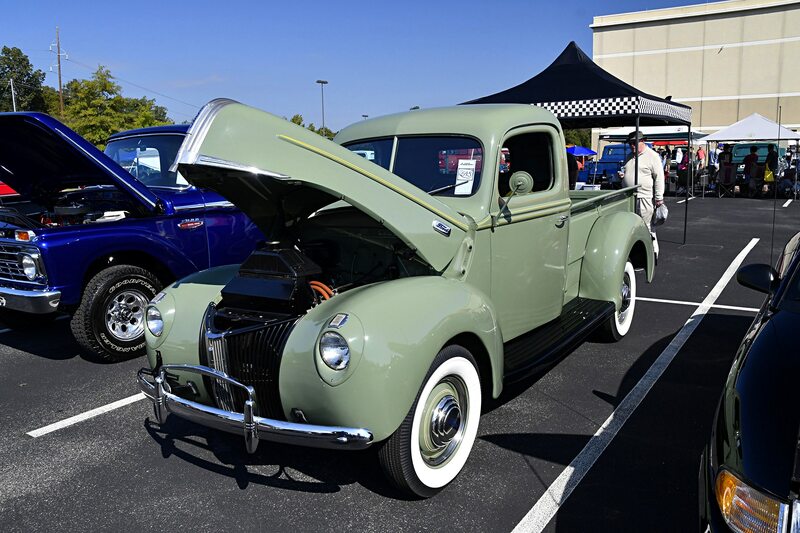 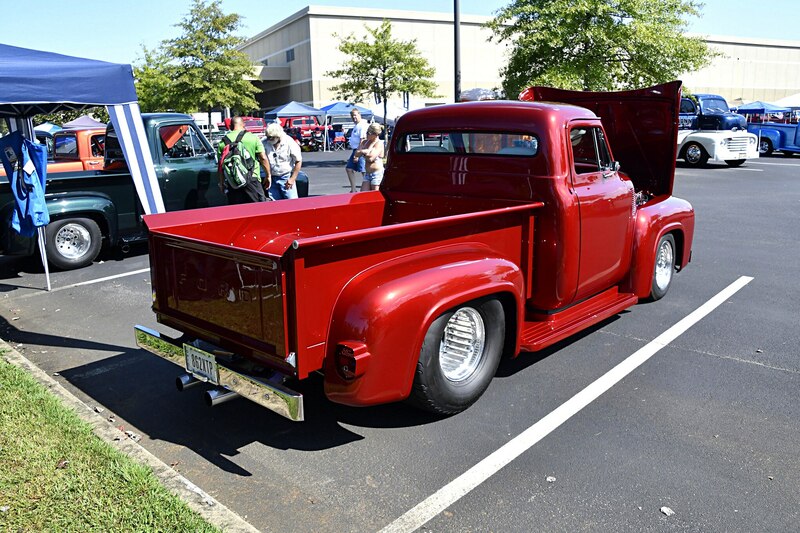 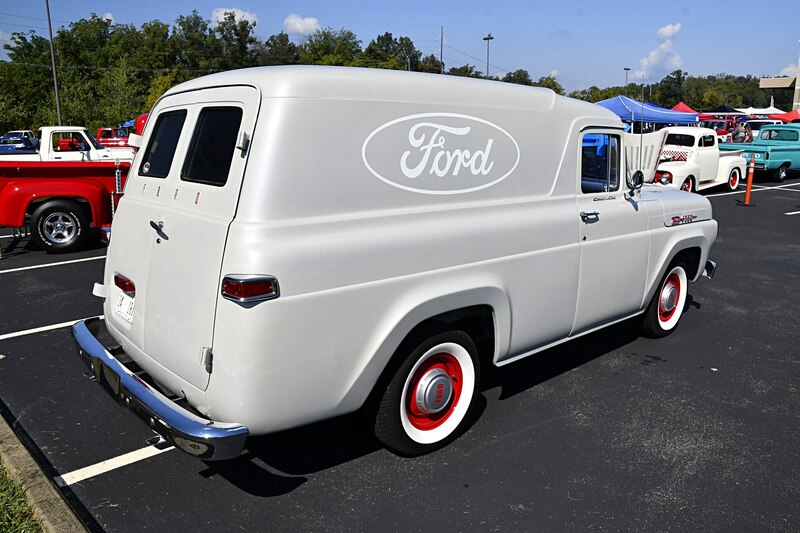 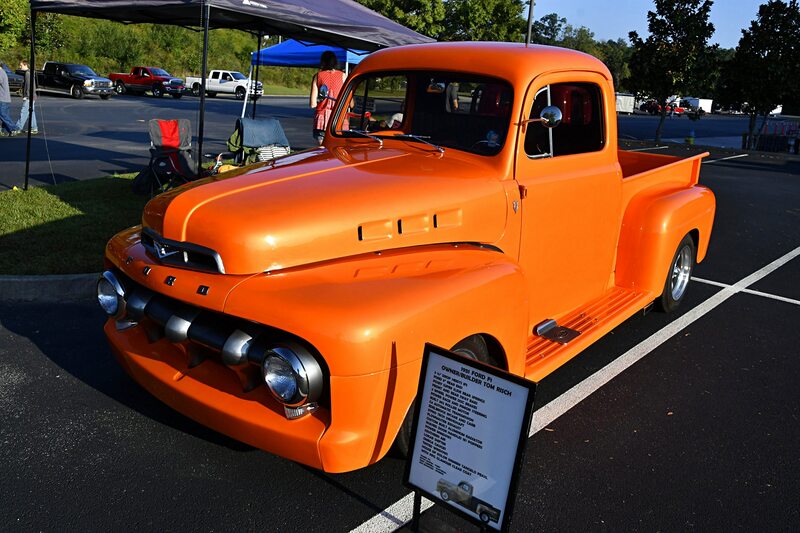 If you’d like to be part of this automotive family event that showcases some of the finest vintage Ford-powered rides in the country, put the 2019 F-100 Supernationals on your calendar. 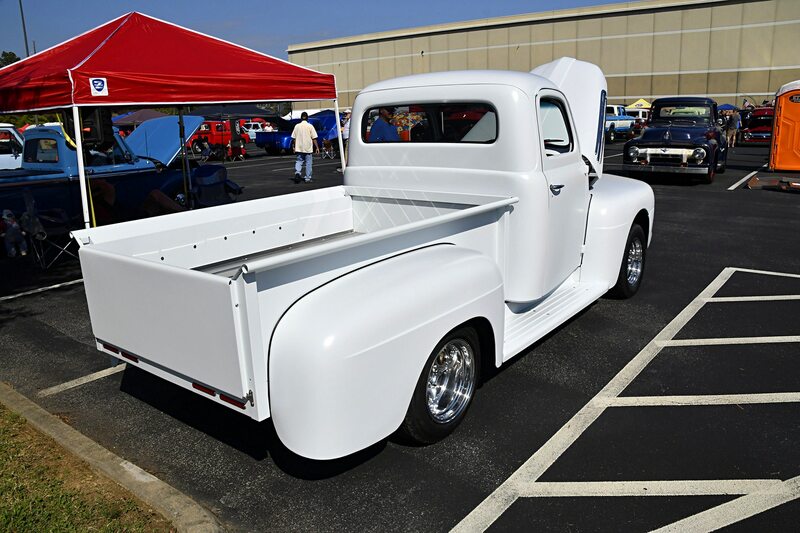 Get all the details for next year’s show and see shots of this year’s event at www.f100supernationals.com. 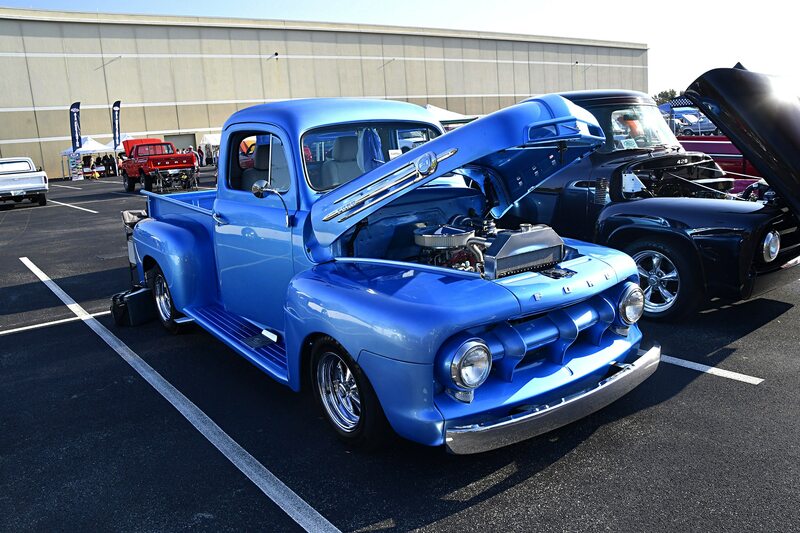 Special thanks to event sponsors Mid Fifty, Ford Performance Parts, and Jacky Jones Ford.